Tampa Bay Organization of Women in International Trade - Webinar: Professional Development in Your PJs! Make your resume and cover letter stand out! 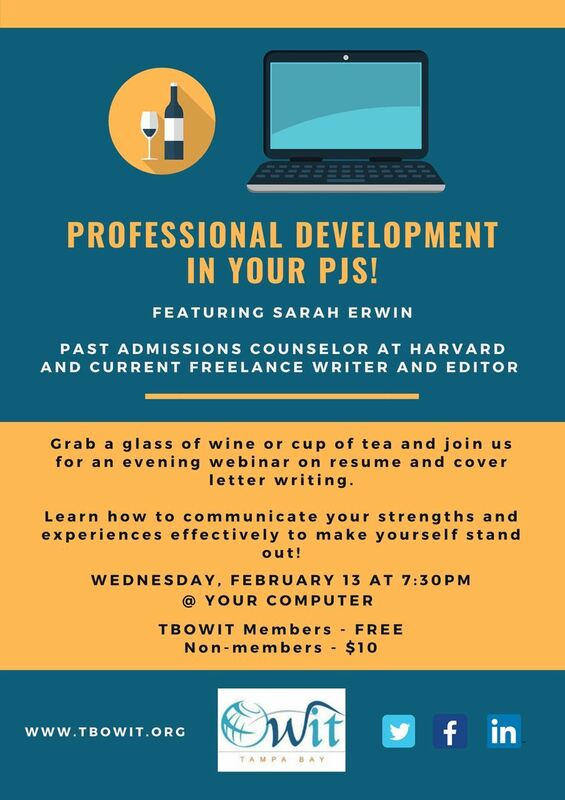 Webinar: Professional Development in Your PJs! Make your resume and cover letter stand out!